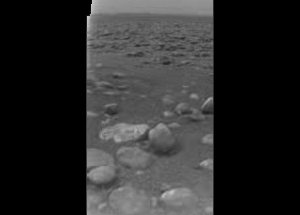 Yesterday, the Huygens probe has successfully landed on Titan. This is the most distant landing ever by a spacecraft from Earth. The image here was sent from the moon's surface and is yet to be fully processed.